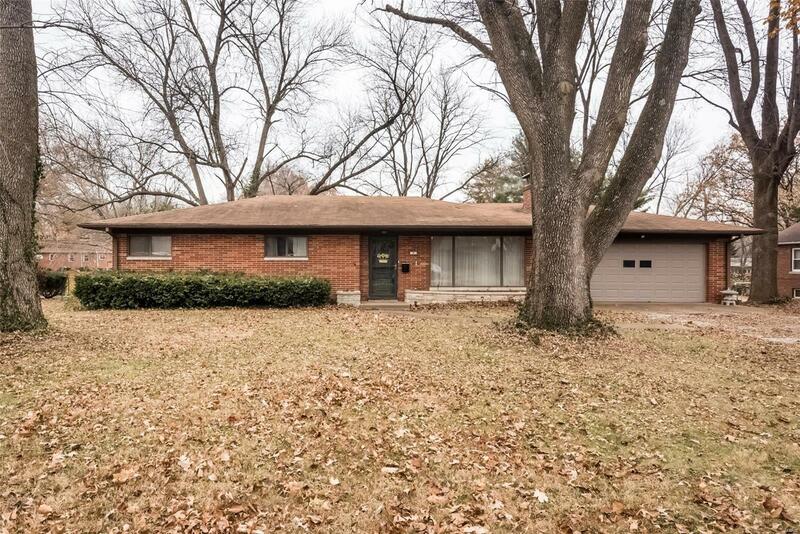 Don't miss this great home nestled on a cul-de-sac in a quiet neighborhood with mature trees. This brick home features a wood burning fireplace in both the large open living room and the basement. Wonderful coved ceilings in living room, great vintage tile in the main bath and radiant flooring on main level. Three spacious bedrooms, separate dining, large kitchen, and 2 car garage offers plenty of room! There is an enclosed porch just through the dining room french doors that looks out over a huge back yard... great for enjoying quiet morning coffee! Walk out basement to back yard with lots of mature trees. Basement level has an existing toilet and can easily be remodeled to have a second bath and up to 1000 sq ft of finished family living space with a fireplace! All information including, square footage, lot size, school district, etc. to be verified by buyer.